Groosham Grange has been one book that I have kept for many years and in the winter months it is my go-to book to enjoy. It follows the lives of the staff and students at this far from standard school. With a headteacher that keeps bags of blood in his fridge, a French teacher who mysteriously disappears when a full moon appears, and the religious studies teacher has his name printed on a gravestone in the local cemetery. All is not what it seems in Groosham Grange. 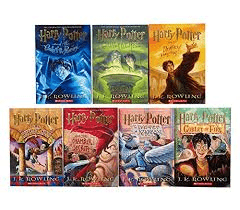 Harry Potter has become one of the most well-known book series in recent literary history. Focused on the lives of the witches and wizards that attend Hogwarts, there are many magical events in this world of good and evil. Again, there are sporting activities taking place, namely Quidditch. Alongside the stories of the students and their achievements in the wizarding qualifications comes the battle between the ultimate evil of Lord Voldermort and the good magic of the students led by their equally impressive teachers and headmaster Dumbledore. 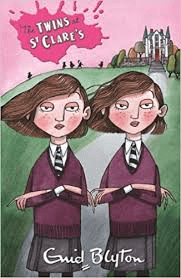 There are many other stories that centre around school or educational establishments and they often look at the lives of the students as well as the lives of what are usually slightly eccentric teachers.